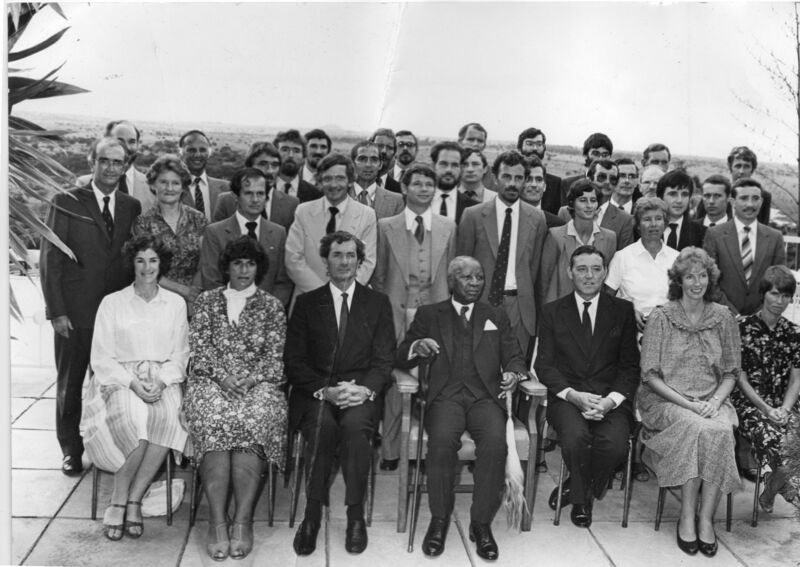 Teachers at Kamuzu Academy in 1984, with the School’s Proprietor and Founder H.E. The Life President Ngwazi Dr. H. Kamuzu Banda. John Royce has taught in Zambia, England, Malawi, Germany and Turkey; the schools at which he has worked include Kamuzu Academy and Robert College of Istanbul. He has qualifications in teaching and in librarianship. He was winner of the IASL’s International School Librarianship Award for the year 2011-2012. He is an authorised IB workshop leader, and has led workshops in Extended Essay (EE generic, Managing the EE, and The role of the supervisor), Academic Honesty, and workshops for librarians in the Diploma and Middle Years Programmes, as well as Continuum workshops (Inquiry and the librarian across the three programmes), online and face-to-face. Most recently, he has worked on the development and delivery of a condensed Extended Essay upskilling workshop for workshop leaders (online) and a new workshop, The role of the Librarian (face-to-face). As well as workshops, he has presented lectures and led mini-workshops on many topics and to many audiences. He has had many papers and articles published in the professional press, and is the author of Credit where it is due, published by the UK School Library Association. I believe that you don’t have to be ill to get better. I believe in lifelong-learning, and instilling a love of learning in others. I believe there are no dumb questions. I believe that “the opposite of critical thinking is uncritical thinking” (Winn). Winn, Ira. “The high cost of uncritical teaching.” Phi Delta Kappan 85 (7), March 2004, 496-497. Print. For more about me, see my published papers and articles, the awards I’ve won (not many! ), the committees on which I have served, my employment record, and a selection of testimonials. If you’re interested in inviting me for teacher- or student-training in your school or district, just contact me and we’ll get talking.